I am working hard to prolong my life. Added exercise back in this week – such an obvious to get and stay healthy! I am back in the pool – yay – 3 x a week in the morning…Usually a new (renewed) habit take 3 weeks to engrain itself but after only a few times, I feel so much better – my gritty shoulders are looser and less grindy AND I had much more energy tis week…back on track. A 1 tablespoon serving of chia seeds has 2.9 grams Omega 3 fatty acid source and 3 grams of protein – which is less than flax or hemp but still a better choice for me. I sprinkle a spoonful into yogurt and oatmeal or make a “pudding” out of it with 1/4 cup of seeds and 1 cup of almond milk, maybe a little honey. Ends up almost like a tapioca but with a little crunch that took some getting used to….also not too much at a time – chia seeds are really high in fiber! More great info here with permission, from the “Foods for Long Life” blog by Joanne Momola, PhD. She says, “Omega 3 is an essential fatty acid critical for heart health, brain development, reducing inflammation and joint pain, managing depression, preventing dry eyes, lowering cholesterol, controlling high blood pressure, protecting bone health and more. There are 3 types of omega 3 fatty acids, each of which are needed in the diet and have unique beneficial qualities….” She goes on to explain in detail – check it out! What are you doing to prolong your life? I have the good fortune to be a new “Eco House Fellow” at the State University of New York at Geneseo…very exciting! 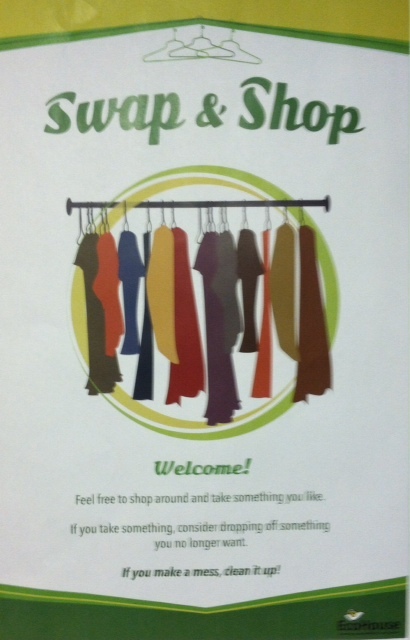 Got to attend one of their events tonight – the Grand Re-Opening of their Swap & Shop…a dedicated space in their residence hall for students and staff to drop off clothing they are no longer using and possibly pick up an item or two of interest left by a fellow Geneseo-an (Geneseo-ite?). Swap & Shop. Less stuff in the trash for them, less stuff in the landfill for us! It was a simple event – crackers, cheese, veggies, hummus, drinks and music – doesn’t need to be fancy! An Eco House resident, greeted me at the door and we chatted about the evolution of Swap & Shop, the latest scoop on life in Eco House and his pending study abroad plans – nice! Got to talk with other students I’d met the week prior at Live Green Day – they were so positive, hopeful, action-oriented and welcoming. Oh and smart, cool and fun! My kind of people. I am hoping to be a resource and a connector for Eco House to advance the work they do to green their corner of the planet and teach the rest of us in the process. Their work is simple and profound. Followed all this goodness up with a late night side trip to Goodwill on the way home with two of those SC&F colleagues – I feel loved. Simple. Profound. My car takes longer than usual to heat up inside……..man riding his bike today – a windy, snowy 17 degree day – no helmet or face covering. It is snowing again…….things in the camps in Syria for displaced families are so bad that people can’t stop crying…8 months later. Feeling a little tired and some aches and pains……reconnecting with a friend after decades and learning about her cancer and loss. Hi! As promised – here is is my list of DO EAT 🙂 This is according to some compiled information from the WWW along with advice from the book “Wheat Belly” by Dr. William Davis. The items he suggests contribute to having a belly – say (limited) after them. My nephews call it a Pizza Belly. When my sis-in-law was pregnant with her second son (my second nephew – yay!) – the word was from the older nephew was that “Mommy has a baby in her belly.” So, he wanted to know if I had a baby in my belly – awesome – I said no. Then he asked, pointing, “Then what IS in your belly?”And I said, “Pizza.” So there’s that story. Nothing like childlike curiosity and honesty. Everything in moderation of course – such as the cookies I just ate because I had to sample them before giving them away and it was snowing. When in doubt – blame the weather. I am hypothyroid – yes I am. The fancy butterfly shaped gland in the front of my neck has to work extra hard to do its job. 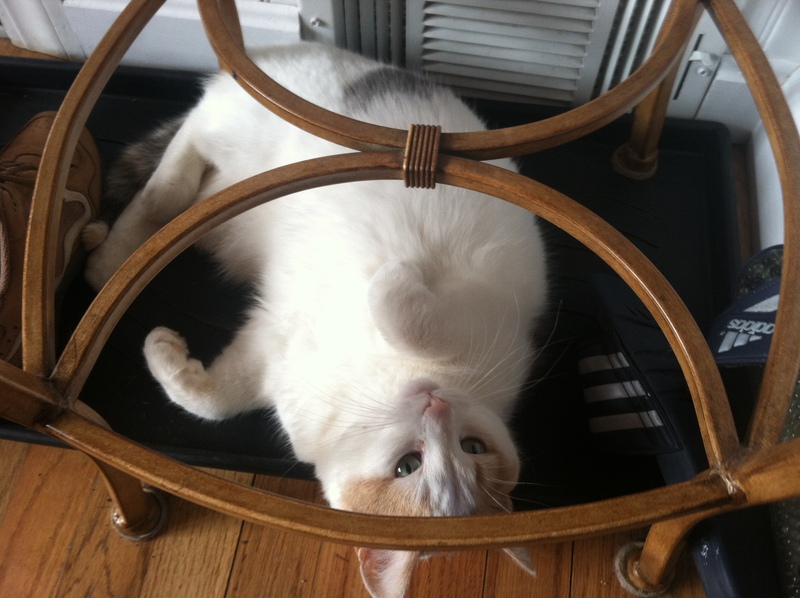 I self-diagnosed my thyroid issue about 6 years ago…I was soooo tired all the time. I was literally falling asleep while driving around town and never felt like I could get enough rest. I craved sleep, my feet were always cold, and my hair was dry and thinning (my hair stylist friend noticed this – thank you Lori! )…oh and brain fog (there is a name for it – fascinating), weight gain, and depression – rock on! After a little web research (so simple) I wondered if I should get a test to see what my TSH (Thyroid Stimulating Hormone) level was. TSH is the hormone secreted from my thyroid that helps me stay awake while driving around town. A good thing to have. With only limited help from my primary care Doc at the time – he thought it was iron? – NO, Not enough sleep? – NO, Mono? NO, NO, NO. 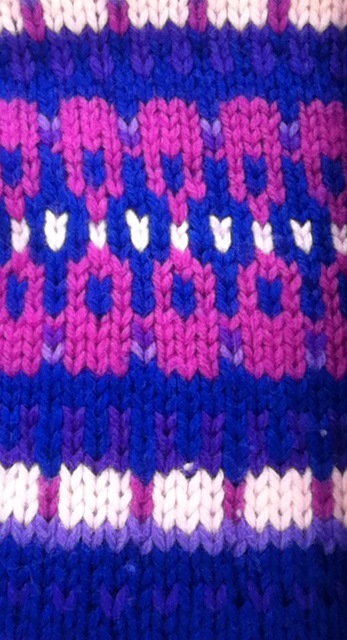 He agreed to test my thyroid with lots of doubt and condescension, sure enough – TSH was very low. Magically, once I went on Synthroid I felt 1000% better (now I take generic Levothyroxine which works for me but not for everyone). OK – I have let go of things I know are generally bad for me…caffeine, refined sugar/HFCS, most dairy (in the process of releasing cheese and yogurt in a pre-vegan prep effort), soy (thank you Menopause), and a few other sensitivity foods. Next up to release/moderate? Goitrogenic foods – these interfere with iodine absorption in your body, which can lead to an enlargement of the thyroid gland, otherwise known as the formation of a “goiter”. A steady stream of iodine is necessary to keep your thyroid running optimally. 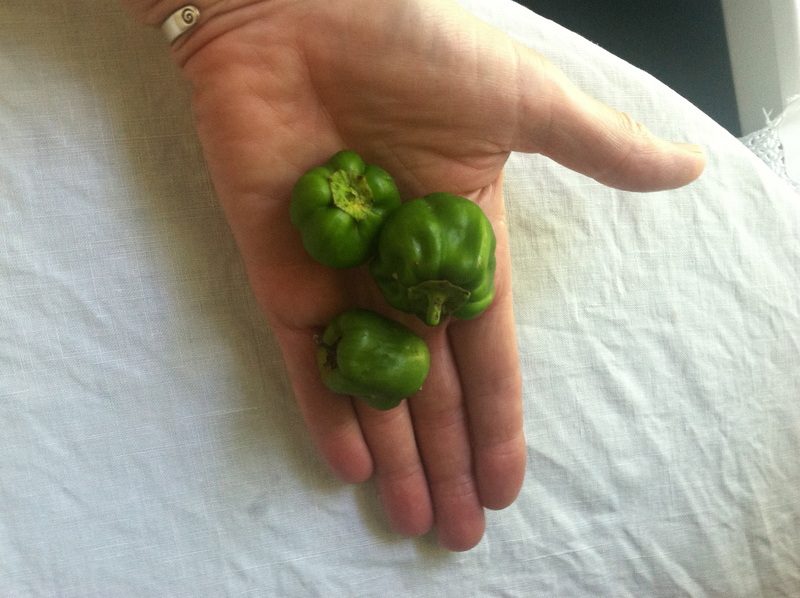 Here is a list of goitrogenic veggies from Dr. Sara Gottfried, MD Harvard, Author of “The Hormone Cure”…I am working hard to minimize these in my diet – some of them are my favs. Sad day. NOTE: I added in a few foods from other sites – asterisked and in bold* – and numbered the Top 11 foods to avoid (not in order) if you are hypothyroid. All the others have seem to have benefits far outweighing the downsides (except for soy) – 1-2 x a week is supposed to be OK. Foods with a “?” show up on some lists and not others…Most sources also say roasting and cooking reduces the thyroid inhibiting compounds…And of course everything moderation – most of these are too good and good for you to eliminate completely! Along with the daylight lasting longer every day (6pm today! 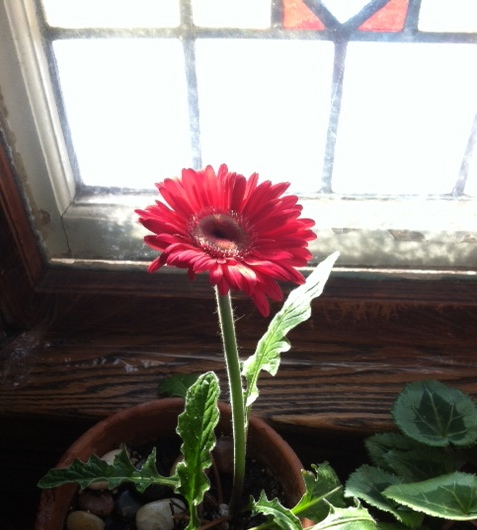 ), this lovely Gerber Daisy is helping me stay grateful for the small things and hopeful for the inevitable Spring. This plant was given to me 4 years ago by my wonderful 6th graders at Henry Hudson School #28 in Rochester and my teacher friends Jess and Mari. This flower blooms faithfully, every year, several times a year, off and on, without fanfare or reward except to do what it does best…bloom. On the porch in the Summer and in my bay window in the Winter – without fail – it lives out its destiny on its own schedule. 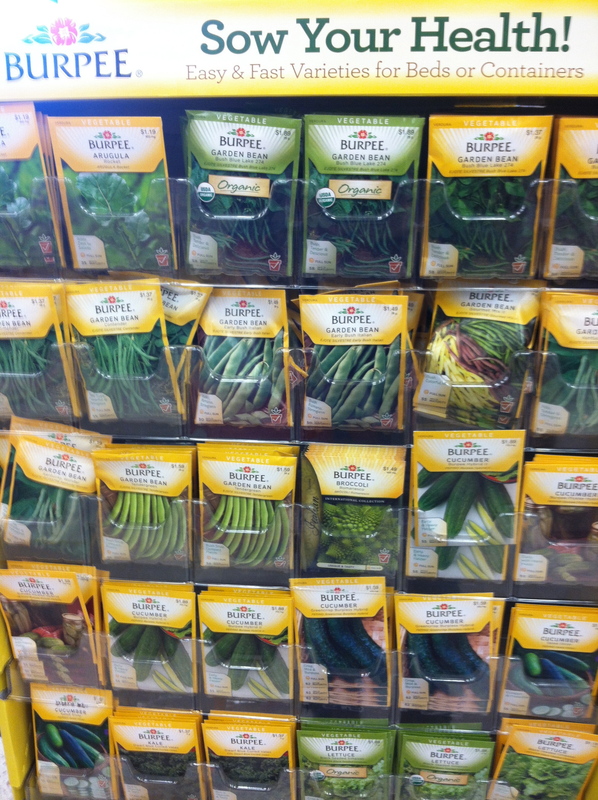 It’s more like I am in my own fallow ground – surrounded by the necessary soil and time for something to grow. Waiting…mostly patient waiting with sprinkles of “What ifs…” and “How am I going to…” My garlic doesn’t know how many more months, weeks or days it has until it pops out of the ground so why do I need to know the exact timeline of my life plan? When the time is right to break up the fallow ground – clear the weeds and plant new seeds – I believe it will present itself. Only God knows and I work hard to trust it is all unfolding exactly as planned – even the hard stuff. A comfort and a blessing to have that reassurance. Of course, the hamster still runs in the wheel at times with worry – the What Ifs creep in, there is bad news in Venezuela, another crime victim in my town, a struggling friend, a challenging situation…which I try to maneuver around. Besides constant prayer, my latest mantra is “puppies and kittens and puppies and kittens and puppies andandkittensandpuppiesandkittensandpupppiesanskittens…” to erase any scary, negative, nasty meanness I see or hear…I know this is a privilege. I can barely watch TV (so much violence and dumb stuff) and have been clicking “I don’t want to see this” a lot more on Facebook. Don’t have the space in my mind for the junk. No room in the garden for weeds. How are you blooming where you are planted? 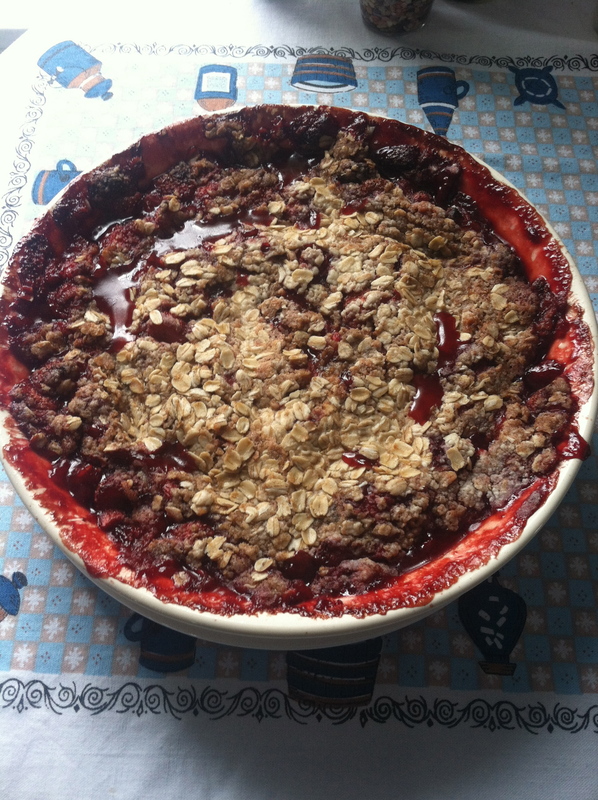 From freezer to table – yay!Gluten and dairy free – yay yay! (Not sugar free but it was oh so delicious) I made this yesterday with ingredients already in my house – no shopping needed – more yay! 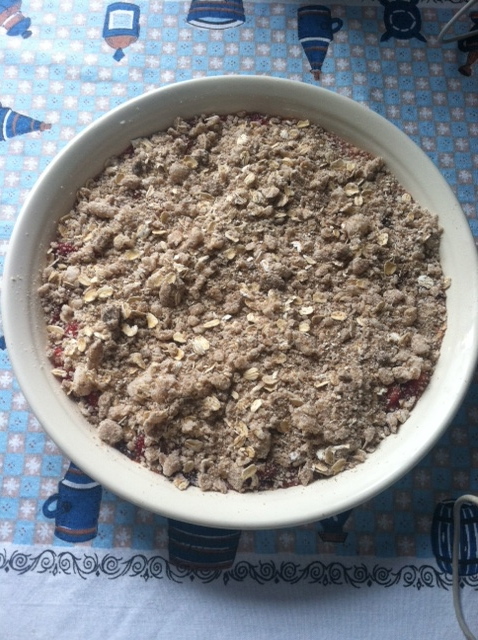 Cut this recipe in half to make a 10 inch round plate of Summer Memory Pie 🙂 I did need to add a little more flour and oats to soak up some of the liquid from the thawed berries. Other than that it was easy and true to the recipe. Took it to a meeting tonight. I was popular. Have a Nothing New Day! 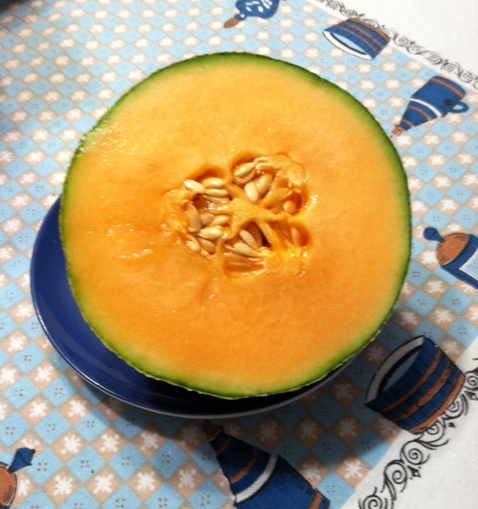 I was gifted this beautiful non-local, off-season (delicious) cantaloupe along with some other treats – a red pepper, a lemon and avocado…I accepted them all gladly with wide eyes…and a tiny little bit of guilt. I work hard to eat seasonal/local so these goodies from 1400 plus miles away felt like cheating – like I had to get them into a brown paper bag and into the house as quickly as possible so no one would see. So much for that now that I am telling you here on the World Wide Web. I found myself rationalizing that because these were gifts I would be allowed to enjoy them. Plus, I didn’t want to disappoint the gift giver. Hmmm. Now there’s a blog post (or 7) waiting to be written. The pepper and the avocado are half gone and I dipped into the lemon this morning for my water. It feels luxurious to have these special foods and I am trying to make them last. When these are gone, I will go back to enjoying NY apples, NY grape juice and Fimka and Larry’s potatoes and onions…and last summer’s strawberries, peaches, blueberries, cherries, raspberries, green beans, pesto and still in the freezer for just such a February as this. Don’t let the “turkeys” (or other name for a bad person) get you down…or the snow! Cheer up and put on that hat Mom wore back in her skiing days and the sweater she knit (that had coordinating stretch pants) and get yourself together! Go out there and enjoy the brisk! Marvel at the white! Send happy thoughts to your garlic under all that snow! What another GREAT day! The phrase emerged around WWII attributed to a British army intelligence officer and later made popular by 1964 presidential candidate Barry Goldwater. I can recall my dad telling me that Carborundum, was a brand name for silicon carbide, an industrial abrasive. He loved to uncover meanings behind things, asked great questions and had a general inquiry mindset. I have inherited those gifts…. Now there are only 29 days until Spring – we are really earning it this year so enjoy every snowflake and icicle, remain grateful for what you have and wear a fun hat! 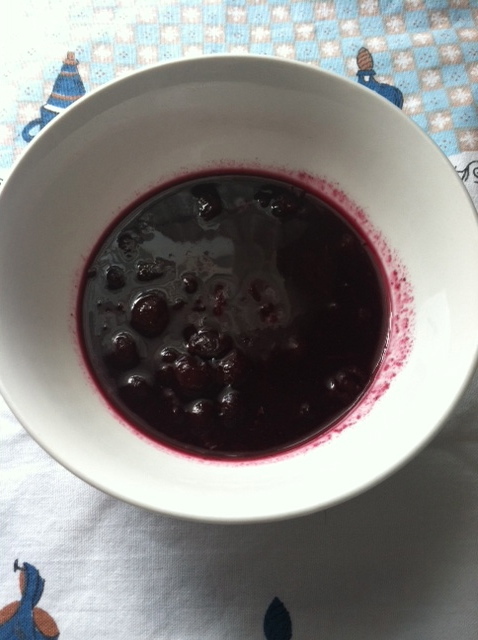 Blueberries are powerful antioxidants…in the form of warm blueberry soup this morning they were powerful mood enhancers! There was joy! Nice weekend behind me…I’d cooked food for the week. I was continuing to shred, file, donate and organize. got some good sleep which is a gift. Visited with neighbors, talked with family and friends across the country and felt like I was on top of things – well, at least alongside them. It was sunny. 30 Days until Spring. A full day ahead with time to finish some big projects, good news emails and yet another day given to me to make the most of…life is good because of this actual day not in spite of some trivial weather piece of the day. Another frigid day and I have decided to stop complaining. I’d had a few more rounds of “really?”, “enough with the fluffy”, and “make it stop”, over the weekend on Facebook and Twitter then realized I was being THAT girl – the negative one, the downer, the bummer one. Wah, wah, wah. 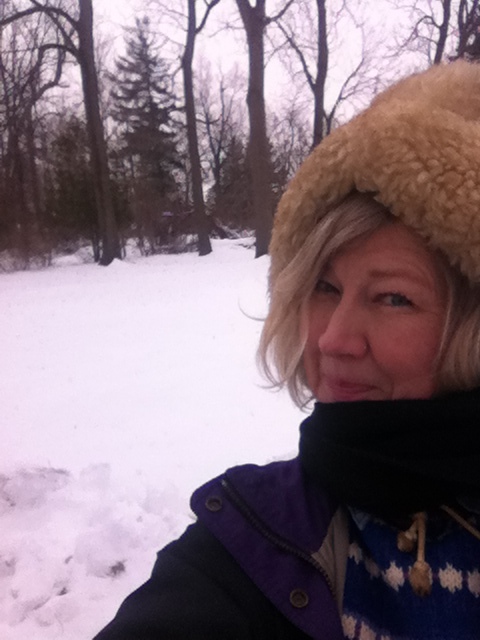 From now on I am the ever positive one – silver lining, grateful for the time, happy with what I have – including all the beautiful, fluffy, white, cold, blanket of snow all around me.